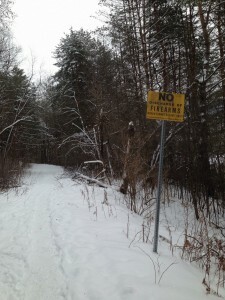 The first time I stumbled upon an online discussion of ultra runners talking about carrying guns (and weapons of choice) during training runs, I was totally shocked. That’s not because I don’t understand why a runner might choose to carry a gun. I certainly get it. Wild animals (mountain lions, bear, etc. ), dogs, and people can pose real dangers to runners–to women and men alike, road running and trail running. It’s a scary world out there. There are plenty of stories to illustrate that running, especially alone, is not without risk. Still, I was shocked to find that gun discussion only because I’d much prefer to associate running with tranquility, funky bright colored running shoes, yoga, spandex, trail selfies, and six packs. Not gun packing runners. Guess I was naive in thinking that runners stick with mace and dogs. But it is what it is. Some runners run with guns. 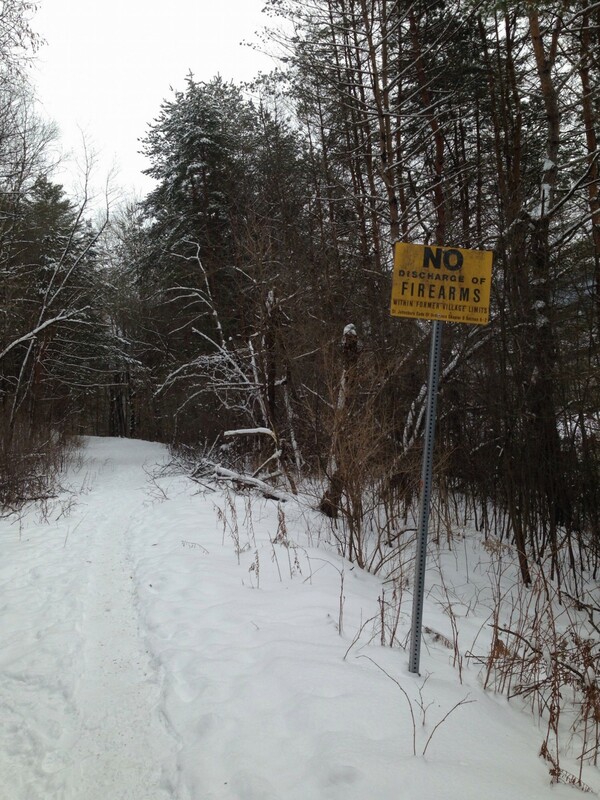 I came across this “No Discharge of Firearms” sign while on a snowshoe run. Whatchu think? Breathe Wanderlust. 24/7/365. Darling Hill. Follow me on IG. Follow me on Facebook. Follow me on Twitter. Darling Hill is a Travel Lifestyle Blog. Not All Who Wander Are Lost. Darling Hill. A Travel Lifestyle Blog. Not All Who Wander Are Lost.